When you send and receive snaps back and forth from friends on Snapchat, you may notice some emojis appear beside their names after you spend some time interacting. These are considered your best friends. What Are Snapchat Best Friends? In general, your best friends are the friends you interact with the most. You may not consider those people to be the people you're closest with in real life, but if you're snapping with them often and frequently, Snapchat will place a little emoji beside their names to represent your friendship. There are different types of friends you can have on Snapchat. You can have a best friend, a best friend for two weeks, a best friend for two months, a shared best friend, someone who's almost your best friend and a close friend. If you want to know what all of these mean, check out Everything You Need to Know About Snapchat Emojis. How Many Best Friends Can You Have? According to Snapchat, you can have up to eight best friends at a time — including those you interact with most through group chats. Best friends are updated regularly so it's always easy to find the friends you want to interact with the most. You should be able to see your list of best friends at the top of the Send To tab before you send a snap, which makes it easier to find the friends you interact with the most and saves you time from having to scroll through your entire friends list. Can You Change Your Snapchat Best Friends? Since Snapchat has its own way of tracking your best friends, you can't ultimately pick and choose contacts to build your own best friends list. There are, however, some things you can do to manipulate your list so that it shows up the way that you want, with the people you want on it. Snapchat does not currently give users an option to delete contacts from their best friends list. If you want them to disappear from your best friends, the trick is to decrease your level of interaction with them. Alternatively, you can keep your level of interaction the same with your current best friends, but increase the level of interaction with other people you want to take their place. If you stop sending and receiving snaps from anyone currently a part of this list, or if you start interacting more with others than you do with them, then your current best friends will disappear (and possibly be replaced) within as little as a day. Although you can't pick and choose exactly who you want to be on this list since Snapchat does it for you, you can certainly influence who you want to be on that list by sending those specific people more snaps and encouraging them to send more back to you. Try doing that for at least a few days to trigger Snapchat to recalculate your interaction habits. For some of the more serious best friend statuses (like Super BFF), you'll have to spend months interacting with the same friend every day. As a bonus, you'll get a snap streak emoji next to that friend's name, which remains there as long as you keep snapping each other every day. In previous versions of the Snapchat app, you could actually see the best friends of other users. In more recently updated versions of the app, however, this is no longer possible. Your best friends cannot be seen by anybody else. This may be good or bad. On one hand, nobody will know who you interact with the most, but on the other hand, the friend emojis that reveal you're not another friend's best friend can leave you wondering who's taking your place in their friend list. 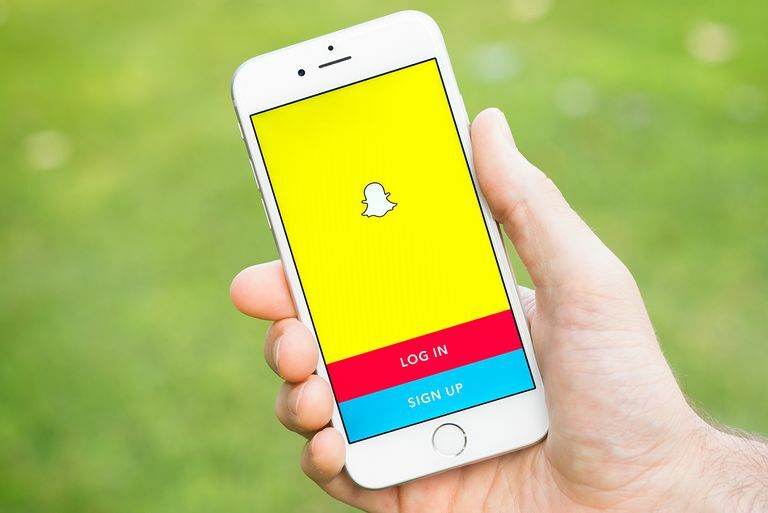 Find out more about what Snapchat scores are to see how Snapchat determines them and what else you can do with them.